I (John) was invited by Emily Varner at Zondervan to review the section on 1 Corinthians in the NIV Cultural Backgrounds Study Bible (CBSB). Many thanks to Emily for inviting me and for providing a review copy. Let me say at the start that this is a wonderfully written and beautifully produced resource, edited by John Walton and Craig Keener. It makes great sense for John and Craig to have overseen this project, since they have become perhaps the leading evangelical voices on the study of the historical-cultural contexts of the Old and New Testaments. Many will already know that John edited the Zondervan Illustrated Bible Backgrounds Commentary (on the OT), while Craig has written numerous (multi-volume) commentaries on various NT books (those on Matthew, John, Acts, Romans, and 1 Corinthians come specially to mind). And of course, some years ago John and Craig also authored the two-volume IVP Bible Background Commentary. Given, then, their expertise on biblical backgrounds, this was bound to be a masterfully written study Bible. As I said above, my focus here will be on the background comments on 1 Corinthians. 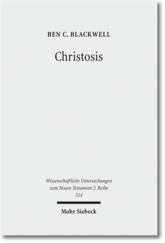 The primary features of the study on 1 Corinthians are: (1) the opening essay introducing Corinth and the background to 1 Corinthians; (2) the notes commenting on specific verses; and (3) the numerous articles/sidebars included throughout (some even with colored images). Ch. 15, “Resurrection,” with an image of a Coptic icon of the disciples’ encounter with the risen Christ. Because of the extent to which 1 Corinthians assumes some knowledge of Greco-Roman and Jewish culture and convictions, many, many more articles could have been written on the backgrounds to this letter. However, I believe Craig has done a really nice job selecting key topics that truly illuminate the text for a popular audience and will catch the attention of the interested reader. Of course, some of the articles included for other passages of the NT are relevant for 1 Corinthians as well. For example, the article on the crucifixion (at John 19) will be helpful for understanding what Paul says about the folly and shamefulness of the message of the cross in 1 Cor 1:18. The colored images are also well chosen and add considerably to the attractiveness of this volume. 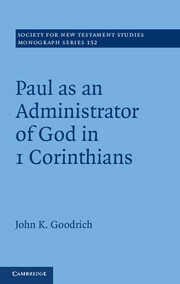 The essay introducing Corinth and the backgrounds to 1 Corinthians also impressed me. While brief, the essay exhibits great familiarity with the ancient site and recent developments on the study of the Roman colony and its surrounding area. For example, the essay rightly states—though this is sometimes ignored by commentators—that “some local Greeks continued to live on the site” of the city even following its destruction by the Roman General Lucius Mummius in 146 BC. Moreover, the essay correctly notes that it was “Julius Caesar’s decree in 44 BC that led to the city’s refounding.” This sentence, though simple, struck me as carefully and responsibly written (the key phrase being “led to”). For while Julius decreed that Corinth be recolonized, it was Antony, following Caesar’s murder, who implemented Corinth’s refounding (see Mary E. Hoskins Walbank, “The Foundation and Planning of Early Roman Corinth, Journal of Roman Archaeology 10 : 95-130, at 97-99”). The same is true of the following statement: “Because most maritime trade between Rome and Asia Minor passed through the Isthmus of Corinth (the rugged southern coast of Greece was dangerous for ships), Corinth was well positioned for trade and wealth.” I was pleased that it wasn’t assumed here—as has been suggested by some early historians—that the Isthmus (specifically, the diolkos road) functioned as a commercial thoroughfare, whereby smaller ships heading either east or west could be carried by trolleys from one end of the isthmus to the other. Rather, as David Pettegrew has argued, goods were probably unloaded at the harbors in Lechaion and Cenchreae and were then exchanged on the isthmus at the emporium (among his other publications, see now David K. Pettegrew, The Isthmus of Corinth: Crossroads of the Mediterranean World [University of Michigan Press, 2016]). All this to say, the essay introducing the letter is well done and while concise, shows signs of familiarity with the best of ancient historical scholarship. The notes on the biblical text themselves are also very helpful. There were a couple of times, however, that I wondered if they could have been improved. For example, at 1:11 the note reads, “Chloe may have owned a business in Corinth or Ephesus.” Craig’s inclusion of Ephesus as a possible geographical location for Chloe (and her business) is understandable considering that Paul writes 1 Corinthians from Ephesus (1 Cor 16:8). However, nowhere do the notes or essays indicate as much up to this point in the study of the letter, so the reason for considering Ephesus in this respect might be lost on some readers. Now, I have to admit that I have not been able to keep up on this particular debate since first reading Mitchell, or to research whether or not anybody has produced any such evidence since the publication of her work. But I wonder if Craig is simply following the lead of Welborn and others here, or if he is aware of some evidence to support his comment on the use of “I follow/I am of” as an ancient political slogan that I’m not familiar with. Aside from these minor quibbles, I found the section on 1 Corinthians in the NIV Cultural Backgrounds Study Bible to be very impressive. There don’t appear to be any references to ancient literature outside of the OT, NT, or Apocrypha in the pages I read, or to scholarly literature that readers might consult for further study. Therefore, the classroom utility of this work has limitations. However, the CBSB will undoubtedly prove to be immensely helpful to lay readers who wish to access those cultural insights that the biblical text simply does not provide. Well done, John and Craig and the team at Zondervan, for producing this well-conceived study Bible! Zondervan has recently released another study Bible: the NIV Cultural Backgrounds Study Bible: Bringing to Life the Ancient World of Scripture. 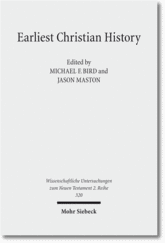 The notes for this study Bible are completed by John H. Walton and Craig S. Keener. Both are well-known for their work on the context in which the Bible was written. As one would expect from Zondervan, the Bible is printed well. The biblical text is in a darker font than the notes, and cross-references are centered on the page against a light brown background. There are many color pictures and maps spread throughout the Bible along with short essays about various topics. This new study Bible has the aim ‘to increase your understand of the cultural nuances behind the text of God’s word so that your study experience, and your knowledge of the realities behind the ideas in the text, is enriched and expanded’. The notes, then, focus on cultural issues that the original readers would have known but are not clearly stated in the text. The notes do not identify how one should live out the text, nor do they give much comment on theological matters (at least from what I’ve looked at). I was asked to comment on the notes to 1 Thessalonians. The introduction is very brief covering only date and occasion. Nothing is said about the city of Thessalonica. Notes on Acts 17.9 and 1 Thess 1.9 provide a little more detail about the city, but not as much as I expected given the stated aim of this study Bible. The introductions in the NIV Zondervan Study Bible and the NLT Study Bible are more substantial and likely to benefit readers more. The notes themselves are fuller and will help readers better understand the context of the letter. Several comments are made about how 1 Thessalonians relates to other ancient letters and speeches. Helpful also are the comments about the social impact of turning from idols and the context for the language of peace and security. Additionally, there is an explanation of ancient travel, which I think is particularly helpful for modern readers. A table identifies links between the eschatology of 1 Thessalonians and Jesus’ teachings. The notes are fuller at times than those in the NIV Zondervan Study Bible and the NLT Study Bible when it comes to contextual matters. Potential connections with the Old Testament are often noted, but no references to non-canonical literature are provided. Isolating 1 Thessalonians for comment may give the wrong impression about the study Bible. The Introduction to the Old Testament and the Introduction to the Gospels and notes on the Gospels were much fuller and seemed more useful. I suspect that whether one likes a study Bible is determined to a large extent by what one hopes to get out of it. Overall, this one will serve well those who interested in the context the Bible was written in. For more information about the NIV Cultural Backgrounds Study Bible: Bringing to Life the Ancient World of Scripture check out www.contextchangeseverything.com/. This is a must-read book. The topic of Paul and Apocalyptic is hot, and unfortunately there has been too little light with all that heat in the last decade or so. This volume is a bit of a game-changer. 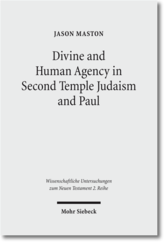 The editors recruited a phenomenal “who’s who” of 2nd Temple Judaism scholars and Paulinists to weigh in on this subject. The early methodological essays (esp Wright and de Boer) are reason enough to read the book, but outstanding essays by Beverly Gaventa and John Barclay are icing on the cake. I will say it again – this is a must-read book! 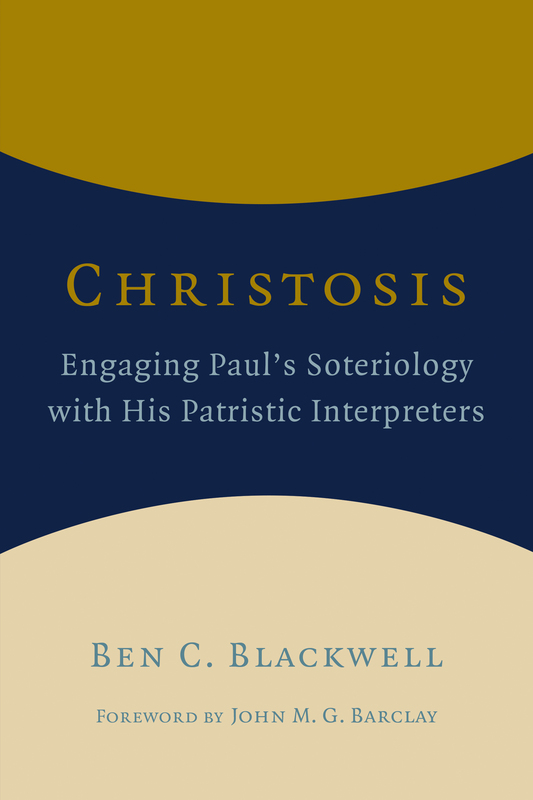 He also has a detailed review forthcoming in Horizons in Biblical Theology.